ELKO, Nev. (Reuters) - U.S. President Donald Trump said the administration was studying a tax cut for middle-income earners that could be rolled out some time around the beginning of November, just before pivotal congressional elections. 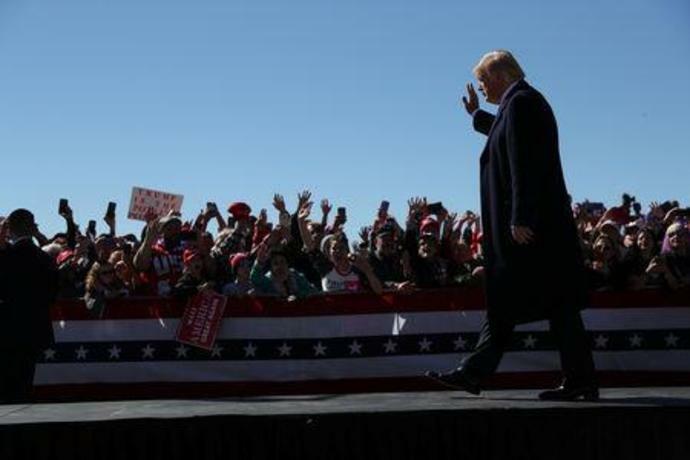 "We're looking at putting in a very major tax cut for middle-income people," Trump told reporters before boarding Air Force One following a rally in Elko, Nevada. When asked about timing for the unveiling of the tax cuts, Trump said "sometime around the first of November, maybe a little before." Americans will vote Nov. 6 in elections in which Trump's fellow Republicans will try to hold on to their majorities in the Senate and House of Representatives. The administration is beginning to pull together plans for the president's fiscal 2020 budget proposal, which Trump will present to Congress early next year.